We offer competitive rates and flexible childcare including options for shift workers. We accept all childcare vouchers and offer 3-5 year old funding. We cater for shift workers and happy to discuss options for flexible session plans. Our spaces fill very fast so we recommend you enquire as early as possible to ensure you get the sessions and start date you require. *Terms & conditions apply. Contact us for more information about our fantastic discounts and to see if your workplace applies. Our preferred method of payment is via direct debit or paying online. 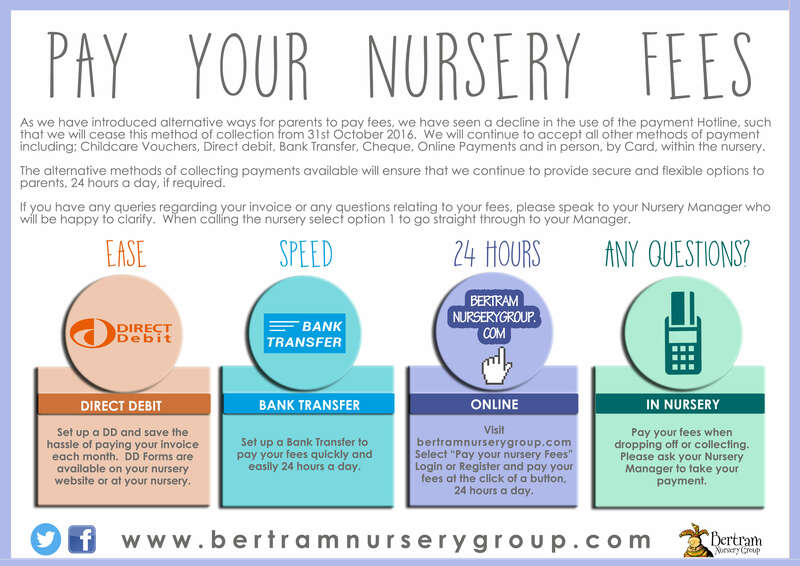 Happitots's parent company, The Bertram Nursery Group accept payment for fees for any of its nurseries online. We are pleased to work in partnership with Renfrewshire Council to provide funding for 3-5 year olds. Please contact us from more information, or book a viewing with our manager to discuss what options of funding are available to you. If you require any further assistance on funding, please click here.